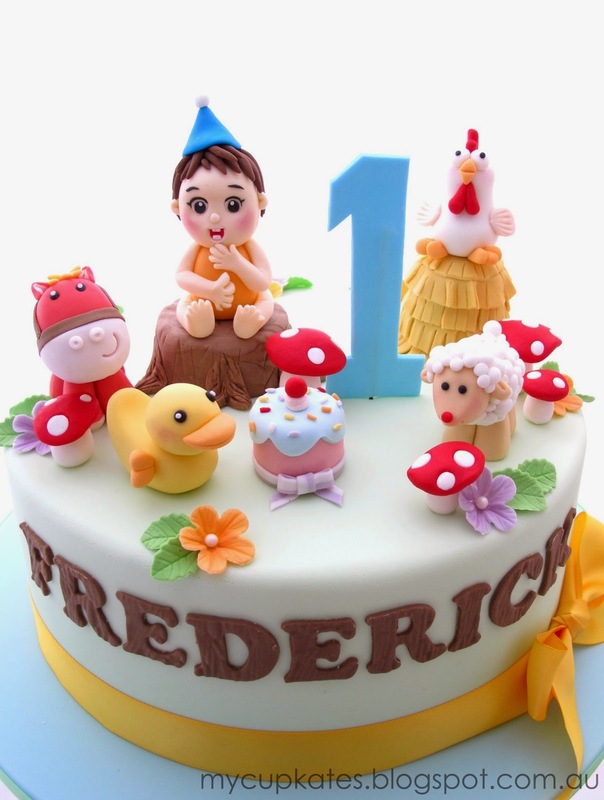 I was so excited to make this farm animal themed cake for Frederick's 1st birthday. It's always fun to try new theme like this farm animal cake especially when I have freedom to design it. It's 9 inch dairy & soy free chocolate cake filled with vanilla dairy soy free cream. I made all sugar figurines (a little pony, duck, sheep, chicken and baby boy etc.) by hand. 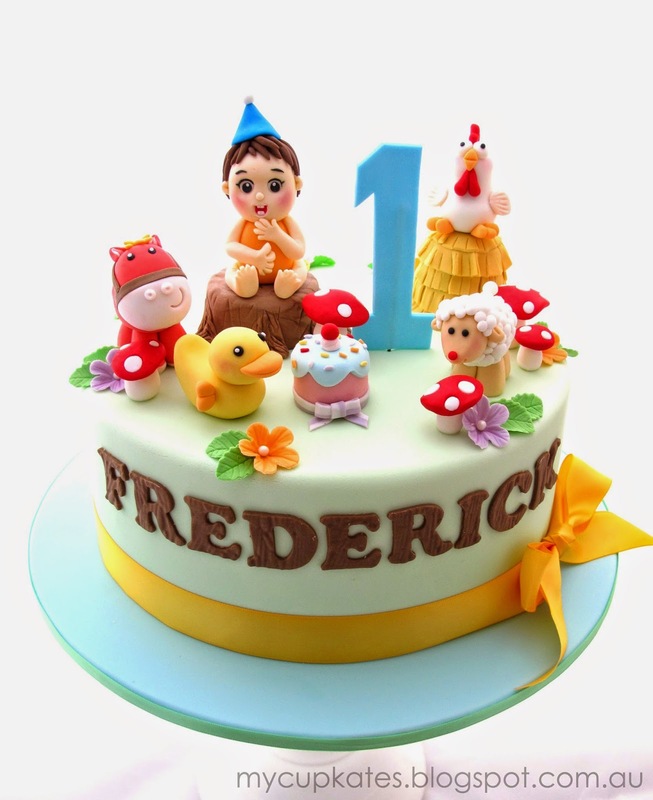 I feel so blessed that I could create Frederick's 1st birthday cake which would stay with him forever in his photo album. My daughter sometimes talks about her past birthdays by reminding cakes she had. "I had Dora cake for my 4th birthday. Can I have Elsa cake next year,please? PLEASE?!" I've been making her photo album(I guess it's a life project!) and make sure I have her birthday pictures with special cakes I made for her so she doesn't miss anything even though her memories might fade away over times as she grows up. That's why I loooove what I do.. My cakes can be a part of someone's precious memories. MyCupKates Glenwood Sydney NSW. Awesome Inc. theme. Powered by Blogger.